It feels like time to be frivolous for a short while and celebrate the things I love and enjoy. I feel as if after a dark and painful summer, I have emerged into the beginnings of a winter that has left me feeling positive and hopeful. So I intend to be grateful and rejoice in all the beauty and colour and the good things around me. 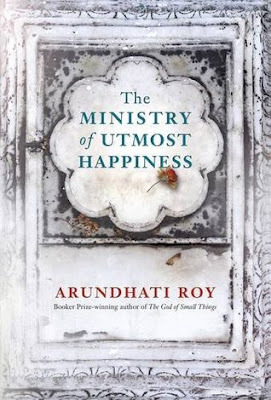 I am a fan of Arundhati Roy's writing, both fiction, and even more so non-fiction. She recently published The Ministry of Utmost Happiness and I am looking forward to reading it. One thing I like about winter is I can wear as many layers as I like, including jumper dresses at home or under my abayah. 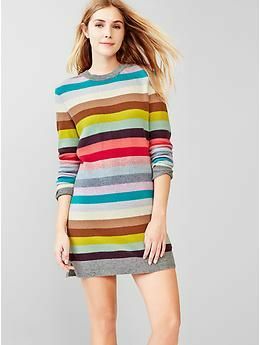 In fact I could live all year in jumper dresses. Maybe not as colourful as the ones below (although I do like it), but in shades of black, grey and navy and in fine knits and chunky cable knits. Little Lady has me on a 21 day junk-free challenge. 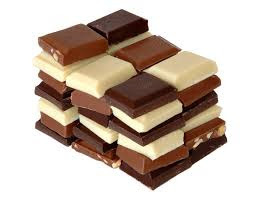 I have been trying really hard to eat lots of fresh veg and fruit, but I am craving chocolate, preferably Belgian milk, medium-dark, hazelnut or something slightly soft and gooey. Actually I don't care, any chocolate would do, mine has all been confiscated. 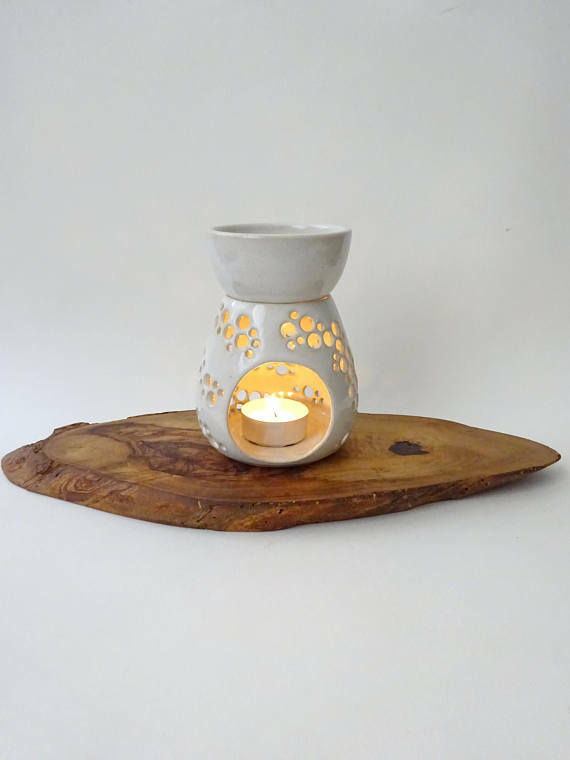 Every now and again I like to use my oil burner with scented oils or wax melts, either to relax or mask the smell when Gorgeous leaves his stinky socks in my room. 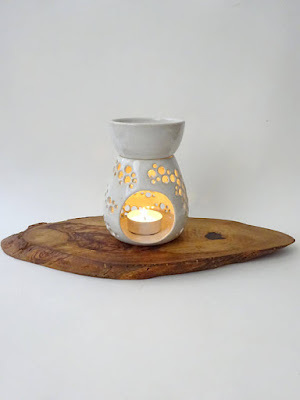 At some point I will take the time to work out which essential oils are best for me, but until then anything fresh and sweet will do. I have some bangles from my wedding that my mum saved up for and bought with great love. She haggled with the jeweller until he was almost in tears (mum is an awesome shopper). They are beautiful, delicate filigree work with enamel and very rarely worn as I don't want to damage them. But I like the idea of some beaten gold bangles, old fashioned like the type my grandmother's generation wore with minimal design. 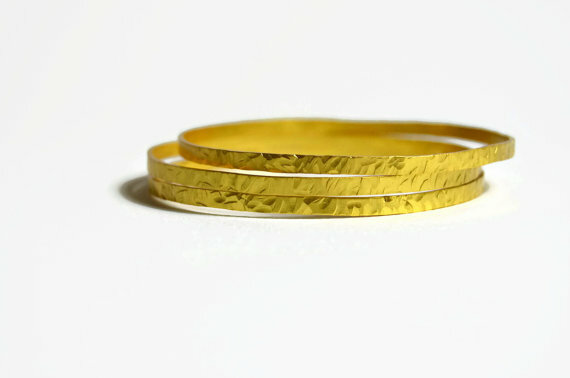 Either that, or simple gold bangles, one for each of my children with their names engraved inside. I love organising things and making a place for everything, whether it's putting things in boxes, baskets, organising cupboards or just lining things up. 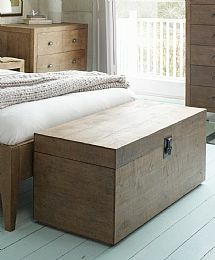 I managed to get hold of a very strong wooden ottoman from the charity shop earlier this year. A bit like the one below but with a black leather seat on top and wheels. It cost £15 including free delivery to my house and it now houses all of my scarves, cardigans and handbags. What is making you smile right now? What's currently on your wishlist? What brings you joy?